Many companies are working to build authentic and trusted brands with consumers. This is especially true with pharmaceuticals, biotech, and med-tech companies. 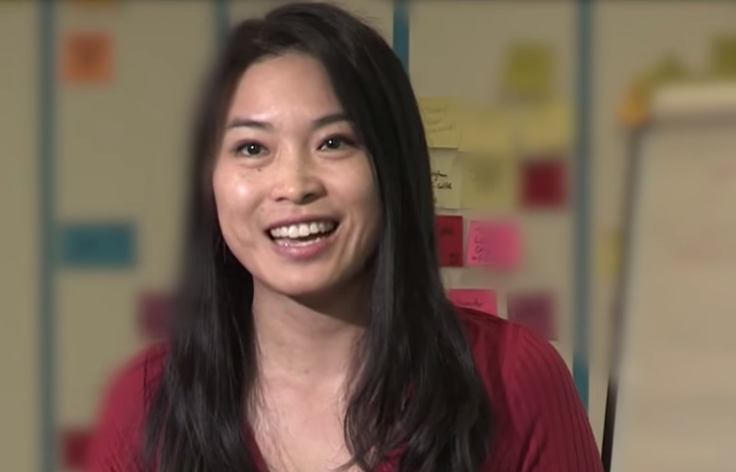 The CEO of Sparrho, Dr. Vivian Chan, says that their approach combines artificial intelligence and 400,000 Ph.D.’s to deliver scientific data to companies. This data helps companies back up their marketing messages which enables them to more effectively build that vital trust with their customers. Artificial intelligence is really about algorithms and how we can use data that we collect to enable humans to make better-informed decisions. I not at all about having computers make decisions on behalf of humans. In a way, I think it’s machines that will be helping evolve the tasks and not actually replacing the human roles. Human roles themselves will be evolving also as the technology improves. This allows humans to have more headspace to be thinking about things that machines can’t do right now. Machines can’t necessarily summarize a lot of pieces of contextual analysis very well yet to a 100 percent accuracy and humans are still better at making nonlinear connection points. For example, being able to say that this mathematical equation is super relevant to an agricultural problem. If we don’t have the tagging and reference and citations humans are still better at making those nonlinear new connection points than machines. Humans are still good at coming up with the questions. If you actually pose the right question and you train the data and the algorithms you might actually get the right answer. However, you still need to have the humans to be thinking about what the questions are in order to ultimately get the answers. I think the angle is really thinking about using AI as a means to an end and not just the end. Ultimately, this is a hybrid approach and various different people are calling it differently. Even MIT professors are calling it a hybrid approach. We’re calling it augmented intelligence. We need to come up with a good relationship between humans and machines. Marketing is about building relationships. It’s about building relationships between brands and consumers and now how do we build that relationship digitally? In this digital age, consumers are a lot more tech savvy but are also information savvy. They want to know what the is science behind certain things. Even if you’re talking about CPG, consumer packaged goods, what is the science behind a shampoo product right now when it claims 98 percent prevention of hair loss? What is the real science behind that and how do we actually bring that simplified science-oriented message to the consumer? How can consumers educate themselves and make informed decisions based on the products and thereby build a stronger brand relationship? Ultimately what we’re trying to do at Sparrow is simplify science to build trust in brands. Especially for marketing departments and brands, it’s really allowing them to have the evidence-based science and the facts because building a very authenticated brand is what is meaningful to consumers. Research says that about 71 percent of consumers immediately reject content that looks like a sales pitch. Building a relationship and having an authenticated brand and content is super important in building that relationship between brand and consumers. We’re going even wider with that by providing what we call content as a service or relevant content on demand. We then integrate that into the digital platforms or the brands. We have what we call augmented intelligence with over 16 million pieces of content that is augmented by a network of more than 400,000 monthly active PhDs in a150 countries. They curate and summarize what’s actually happening in the latest of science. We know that in about 60 percent of pharmaceuticals, biotech, and even med-tech companies, are spending more than $50 million per year just in content. Content has been the major driver for a lot of their marketing. In pharmaceuticals, they’re trying to really bring that relationship that they have offline to online. It’s at the heart of this digital transformation age that we are going through. This is really helping bring that relationship online by using the right engaging content. Our goal with Sparrow is to drive more engagement and ultimately more sales.